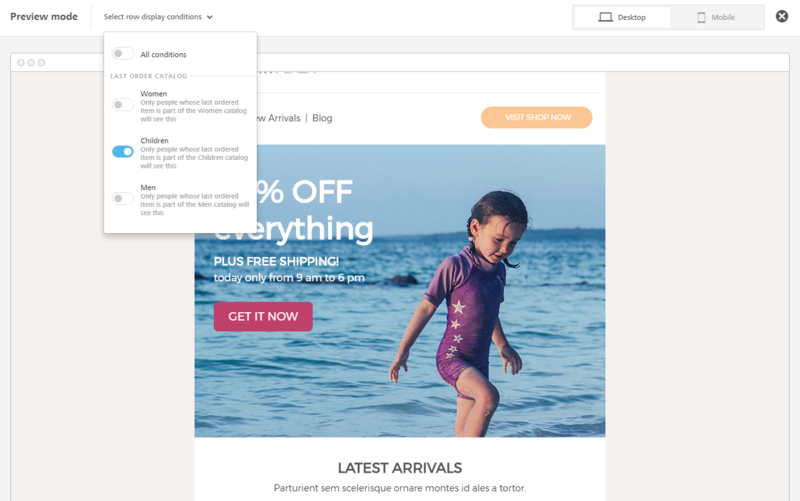 Display conditions allow you to change the content that is shown to recipient of an email depending on who the recipient is. 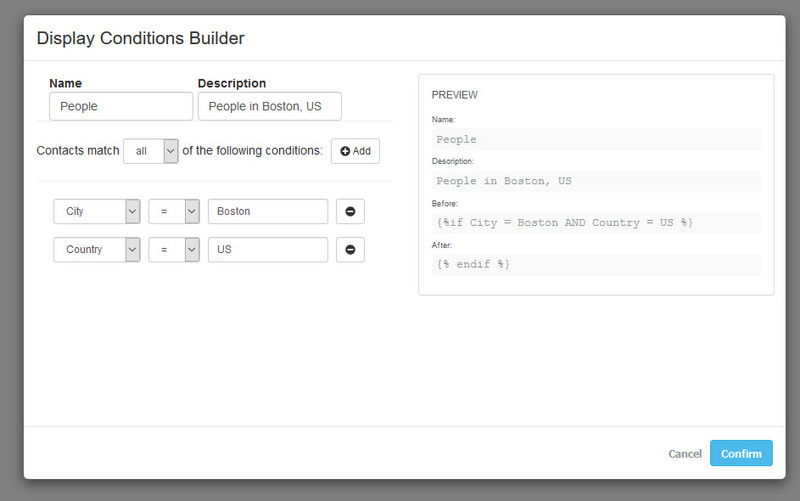 As the application hosting the editor, you can now pass an array of conditions to BEE Plugin. 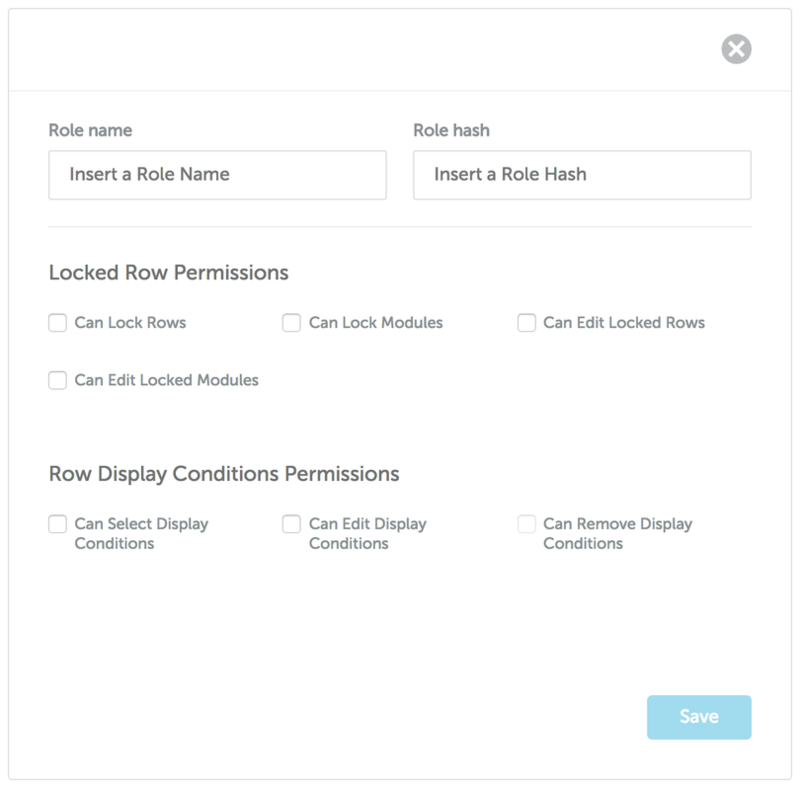 Note: if there are no Display conditions passed to the Plugin in the configuration, and the user has the rights to access the feature, the editor will only show the Add condition action, which allows users to apply a new condition to a row by manually adding the condition’s syntax. 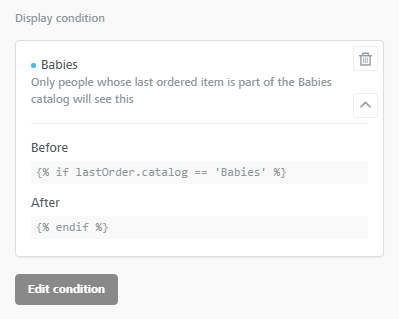 Why these different behaviors for custom conditions? Because BEE does not save them to the Plugin configuration (you passed that configuration to the Plugin: we don’t have access to the repository where you save that information). 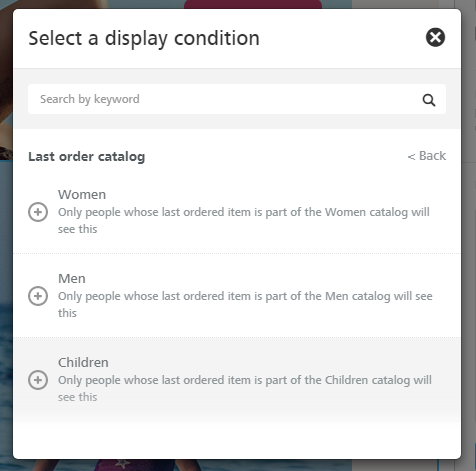 So, custom conditions do not exist in the array of conditions that the user can search and/or browse. You can extend this feature and allow users of the editor to build their own Display Conditions, on the fly, using a UI that you control. It’s part of the Content Dialog functionality. This is an advanced feature that requires some development on the side of the hosting application, but that provides fantastic flexibility. Check it out! 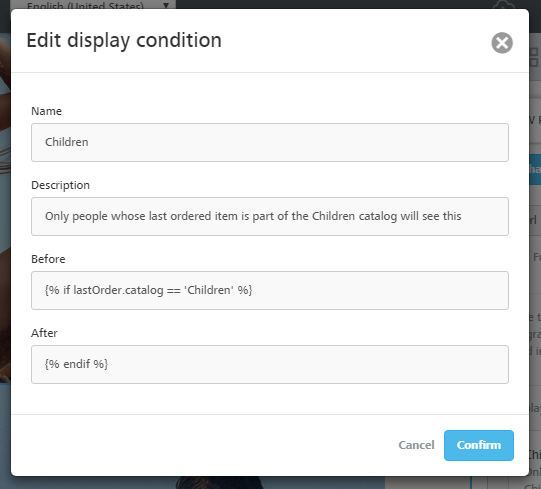 Here is an example of a custom builder of Display Conditions.